Nietzsche is and ought to be considered both icon and iconoclast in philosophy. “On the Genealogy of Morals” is considered to be his greatest ethical work. The work is made up of three essays, and this essay will involve an exposition and critique of the first essay. 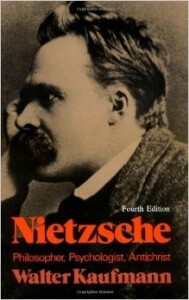 My plan is to continue this series by writing two more parts, covering the entirety of this masterwork of Nietzsche’s. With regard to Nietzsche in general, and this work in particular, the issue of Nietzsche’s “racism” and “anti-Semitism” has to be addressed early on. It ought to be common knowledge by now that an accurate reading of Nietzsche shows that he was neither racist nor anti-Semitic. Kaufmann gives a thorough treatment of the issue in Nietzsche: Philosopher, Psychologist, Antichrist. The soiling of Nietzsche’s reputation was precipitated by his sister, who laid claim to his work after his death and ruthlessly attempted to appropriate it for Nazi use in full knowledge of Nietzsche’s true opinions. Her case of academic deceit cannot be attributed to ignorance. In correspondence with her as well as in his published writings, Nietzsche never misses an opportunity to slander the anti-Semitism which was growing in Germany at the time. Reading Kaufmann’s vindication of Nietzsche is truly a delight, because Nietzsche not only makes his opinions known, but he does so in his characteristically clever manner. Let us now leave the question of racism and return to the gist of Nietzsche’s argument. We have on the one hand the original meaning of “good,” an interpretation which I have described as bro-ish, that originated in the ruling class, and these rulers contrasted themselves with the “common” and “bad.” The original rulers were, in fact, rather simple. For them, “evil” literally did not exist. In their world, the commoners were to be pitied, and their enemies were respected with the respect that fighters give to other fighters. The second meaning of the term “good” arises as a reaction when those ruled by the bros have to look themselves in the mirror. This interpretation of the term might be called the “evil twin” of the original, because it arises from a suppressed emotion, which Nietzsche calls by the French term ressentiment. When the ruler looks hirself in the mirror, hir notion of “good” is one of pride and is aligned with health, power, and physical beauty. Yet, those who are ruled, the subdued class, powerless to counteract the rulers, appropriate and invert the term, and now to be truly “good” is described as to be humble, meek, impoverished, ugly. What was formerly “good” has now become “evil:” the exertion of power and the subjugation of the weak. Christian religion in particular, coming from the Judaic tradition, is the preeminent example of this inversion, and the religious doctrines of Christianity act as a fantastic justification of this view through recourse to an other-worldly metaphysic. Yet, it is not the only example of such an inversion. 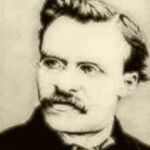 Nietzsche also includes in this group the “indifference” or “detachment” (Kaufmann does not use the term in his translation) of the Chinese religion. The latter interpretation of “good” is conveyed as the product of an “inactive,” “festering” psychology, plagued by ressentiment. While the slave class is the originator of intellectualism, members of the ruling class are conveyed as beasts of prey, and something intrinsic to them wants to get back to nature. One cannot fail to see at the bottom of all these noble races the beast of prey . . . this hidden core needs to erupt from time to time, the animal has to get out again and go back to the wilderness . . . (i.11). Nietzsche ends this first section with a lengthy Latin quote from Tertullian’s “De Spectaculis,” an essay about the notoriously gruesome “public games” of the Romans. Tertullian’s piece might be called the written expression of ressentiment incarnate. 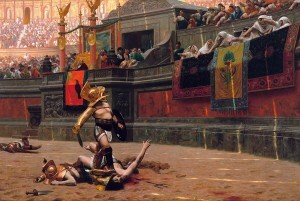 The lengthy passage of the early Christian father might be paraphrased as follows: If Roman games in the arena are considered enjoyable, imagine how enjoyable it will be when Christ returns and all of his enemies throughout the world are consumed by flames of wrathful fire, and the Christians get to watch for their own enjoyment. A genuine critique of Nietzsche’s work would involve a critique of his methodology and would require an entire work of its own. My “critique” here instead accepts Nietzsche’s argument more or less wholesale and looks for inconsistency in details. That said, I would like to focus on Nietzsche’s interpretation of Judaism. Nietzsche paints the Jews with too broad a brush. Judaic writings of the Old Testament have more in common with the “warrior class” ethos than that of “slave morality.” Consider Ecclesiastes, King Solomon, the Psalms, which are said to be from his pen, the (fictional) story of the wandering Hebrews, led by Joshua, overtaking the fortified “promised land.” In other words, Judaism needs to be contrasted with the Christianity that is a later development. The following passage is, and ought to be, extremely perplexing. That Nietzsche places the slave revolt in morality so late shows who he considers his audience to be. It is at once charming and alarming to the modern reader to realize that Nietzsche is talking, not about world history here, but about German history. Yet, everything he says about a slave revolt in morality ought not to be about Germans versus Jews, but about Romans versus Jews. The whole construct fits together perfectly: As the Romans overtook the Jewish “promised land”, the powerlessness of the Jews gave rise to ressentiment. The resulting psychological unrest among the Jews resulted in factionalism, which eventually gave rise to Christianity. Considering that Nietzsche’s focus is on German history, a more involved critique would require answering the question: Does Nietzsche’s genealogy apply accurately to German history? My suspicion is that it does not. To establish this, however, would require more time and space than we have available here. Throughout their first year of life, the infant monkeys would be exposed to threats in an attempt to evoke an anxious temperament. The test protocol calls for the use of not only the monkeys, but a live king snake. The rhesus monkeys have a genetically programmed fear of snakes, and that is why a large, intimidating snake was chosen. Researchers would attempt to terrify the monkeys in other ways as well. One method includes the introduction of an unfamiliar human who approaches them without making eye-contact. The test protocol is vague about what the difference would be between how the control group and the test group would be treated. Previously, Kalin published a paper on a similar experiment in which he selectively brain-damaged a group of test monkeys and then exposed them to stressors. This was accomplished by applying acid to the amygdala. The presumed end result of Kalin’s research, of which this experiment is only a part, is developing a drug for use on adolescents at risk for developing anxiety disorders. The tests will take place at the Harlow Center for Biological Psychology on the UW Madison campus. The center is named after the psychologist Harry Harlow who first introduced maternal deprivation experiments on rhesus monkeys. In now famous and infamous experiments, Harlow removed newborn monkeys from their mothers and gave them the option of a wire mother that had a feeding bottle or a cloth mother. The infants would feed from the wire mother, but cling to the cloth mother, spending the majority of their time with the cloth mother. UW Madison has received about half a million dollars of federal funding from the National Institutes of Health for Kalin’s upcoming experiment. It is part of a larger research grant from the NIH that totals about $1.5 million. According to Rick Bogle, co-founder of the Alliance for Animals and the Environment, UW Madison stands to make much more money than this if it results in a patented drug. In response to Kalin’s proposed experiments, the Animal Legal Defense Fund requested information on the approval of the experiment. Universities are required by the Animal Welfare Act to gain approval for all use of animals in testing by an Internal Animal Care and Use Committee. When UW Madison refused the records, the ALDF sued. According to the ALDF, it was in response to this that Scott Walker attempted to introduce an amendment into the Wisconsin state budget bill to protect UW research from the state’s open records laws. The amendment was thrown out of committee this month. Last year, Dr. Ruth Decker wrote a Change.org petition opposed to the experiments. At this point, the petition has over 400,000 signatures. The petition notwithstanding, UW Madison has shown no indication of reconsidering or delaying the experiments. To date, there have been five separate protests, as well as leafleting campaigns, conducted by activists associated with the Madison-based group, the Alliance for Animals and the Environment. Last fall and winter, there were two protests and a candle light vigil. On April 10 of this year, protesters stood outside the UW regents meeting in Waukesha holding signs and attempting to engage the regents. 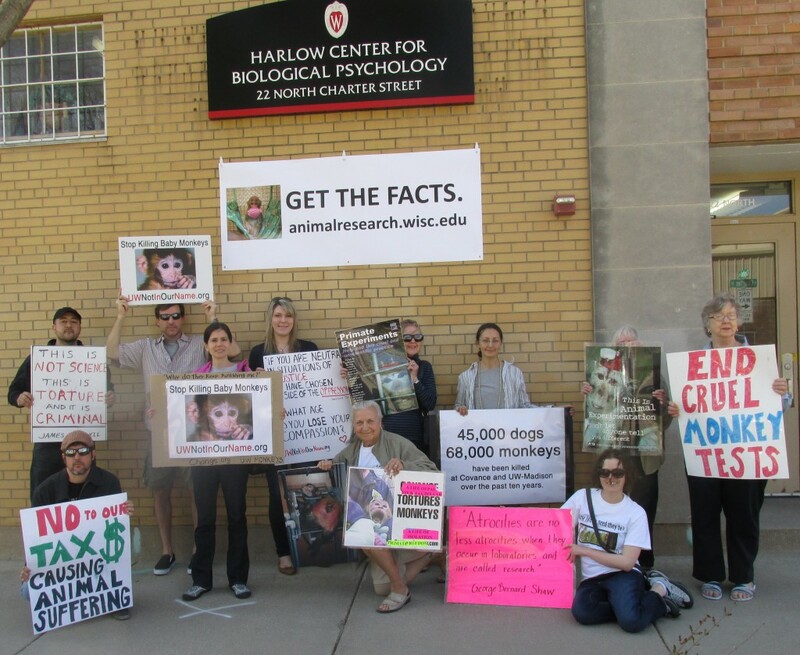 On April 20, there was a “sit-in” protest at UW Madison, outside of the Harlow Center for Biological Psychology, where the experiments are slated to take place. Prior to the protest, UW Madison had placed an anti-protest sign, seen above, leading people to a website of its own that defends animal testing. With tests slated to begin in June, time is running out for Kalin’s monkeys. UW Madison has conducted tests on primates since Harlow joined the faculty in the 1930s. Currently, UW Madison houses approximately 2,000 primates for research between the Harlow Center and the adjacent Wisconsin National Primate Research Center, of which 1,500 are rhesus monkeys. 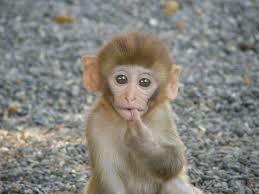 According to the Harlow Center website, all of the rhesus monkeys used there were born on site. Given that primate testing has gone on at UW Madison for over 70 years, one wonders what would be necessary to see a stop to primate testing at UW Madison. Some animal rights activists claim that animal testing is ineffective and outdated, pointing to statistics showing that most drugs that are successful in other species do not succeed in humans. The truth may be more complicated. Animal testing may lead to scientific advances and breakthroughs, but, like testing on humans, it may be considered ethically unsound and should be regulated anyway. It may be the case that animal testing can only come to an end in any country if a federal law is made granting animals protections, and thus shielding them from scientific testing. The U.S. lags behind other countries in protecting animals. In 2002, Germany made strong constitutional provisions to protect animals under their Animal Welfare Act, provisions that extend to lab animals and farmed animals. Experiments that are currently legal in the U.S. would be illegal in Germany. Still, there are no species-specific provisions in German law to protect primates. New Zealand has forbidden the use of five great ape species in research and teaching. Austria, the Netherlands, and Sweden have all banned the use of great apes in testing. The U.S. has shown the smallest glimmer of hope via a New York judge’s recent decision to grant habeas corpus to two chimpanzees. At the same time, there are no protections for other primates, such as rhesus monkeys. Philosophers are quick to point out a contradiction. 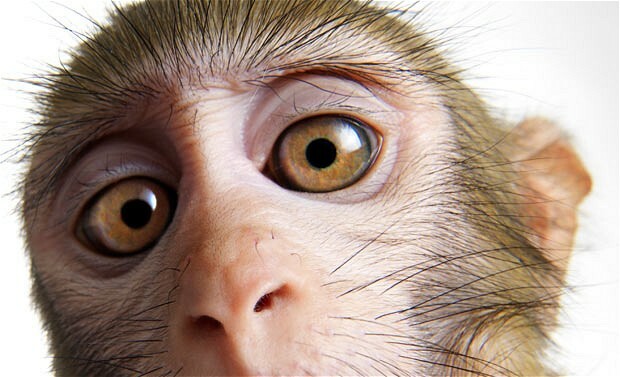 If rhesus monkeys are similar enough to us for us to use them to gain valuable insights into our own psychology, then they should be granted a corresponding degree of legal protection. A lot of animal research may be considered to be good science but bad bioethics. It is no coincidence that philosophers are willing to speak out against animal testing. When we farm and test on “lower” animals, we are treating them in a way that we would not want a stronger life form to treat us. We are also behaving as if there is a strong distinction to be made between the human and animal world, a distinction that science shows simply does not exist. If it is the case that research institutions will not voluntarily leave behind the cash cow of animal research, and the only way to prevent primate experiments is through granting them legal protections, then activists are fighting an uphill battle. Although the great apes are protected from research in some places, those places are the minority, and there are no specific protections for primates in general. It appears that research will continue on primates, dogs, cats, and other species for the foreseeable future, and activists will continue to speak out against it, hoping for a long-term change. Throughout, the young monkeys would be exposed to threats to attempt to cause anxious temperament and depression, such as exposing them to live snakes and menacing humans. The experiment would bring over half a million dollars to UW Madison from the National Institutes of Health. After 18 months, all of the monkeys would be euthanized, and throughout their short lifes, they would be subjected to a barage of tests including spinal taps and blood draws. The Capital Times article that broke the news of the change to the study was misleading in one crucial regard: it neglected to mention that the monkeys would still be removed from their mothers at the age of 6 months. One could just as easily say that the experiment is more cruel and inhumane for this reason, because the baby and mother will bond for six months before being separated. A similar omission was made in a Badger Herald Article. Meanwhile, the Animal Legal Defense Fund (ALDF) had requested details of the proceedings for the approval of the research from UW Madison in order to ensure that they followed the federal Animal Welfare Act. When UW refused to provide the information, the ALDF sued UW Madison. In response to the lawsuit, Scott Walker proposed an amendment to this year’s budget: UW would be exempt from Wisconsin’s open records policy. It may be the case that Scott Walker’s actions were actually not a response to the ALDF lawsuit, but something that he was planning on doing anyway, because this is his third attempt at it in three years. In 2013, proponents claimed that the exemption was in order for UW Madison to have a competitive advantage for grant money. The 2014 lawsuit happened to also coincide with a lawsuit from PETA regarding treatment of sheep at UW Madison. Both of those attempts failed, of course. Now, the National Association for Biomedical Research and the Foundation for Biomedical Research, both front groups for the animal testing, animal breeding, pharmaceutical, agribusiness, and processed food industries, are claiming that the amendment is necessary for the protection of researchers from animal rights activists. This is misleading, at best, because, according to Bill Leuders of the Wisconsin Freedom of Information Council, under current law, information that can be shown to be “harmful” if disclosed is already exempt from the open records policy, and information that reaches the people that request it has already been redacted. Animal rights groups and advocates for freedom of information in government both have a stake in ensuring that this amendment is not passed into law. Although Wisconsin research is still open to the public, 24 other states have already passed laws granting them some form of exemption from public records. In response to this issue, people acting in association with the Alliance for Animals and the Environment have been attempting to spread the word about the issue through leafleting campaigns. Although animal rights activists have taken up the cause against the open records amendment, there is, of course, more at stake, given the sweeping wording of the proposed resolution. More information about the ALDF’s attempts at keeping records open can be obtained from Kelsey Eberly, the attorney working for the ALDF on the lawsuit, and also Bill Leuders of the Wisconsin Freedom of Information Council. More information about taking a stand against the amendment can be obtained by contacting the Alliance for Animals and the Environment. 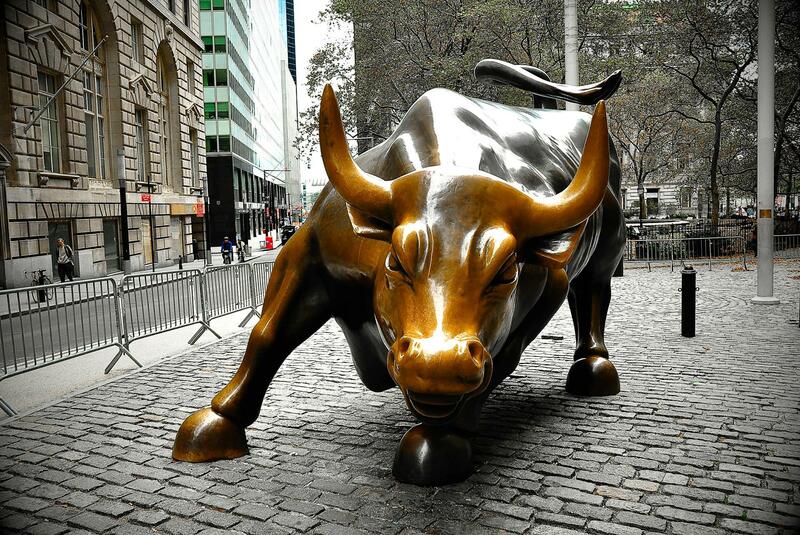 Are the Rich Reframing the Concept of the One Percent? The article appeared not long after a Slate article, “West Virginia is for Egalitarians,” that showed similar results about the one percent in America. This article was novel insofar as it broke down the income by state. For example, according to the diagram in the article, one has to earn a mere $320K per year in order to be in the top one percent in Wisconsin. Connecticut tops the list, where $678 grand per year will put you in the top one percent of income earners. The typical “rich” person today is someone who works for a salary and accumulates stocks and bonds through savings, retirement plans and (for business executives) stock options. Piereson does not neglect to mention that athletes like Tiger Woods and performers like Jay-Z and Beyonce are one-percenters. What are we to make of all this? If these articles are to be believed, no one–or hardly anyone–is really “rich” in this country. The word “rich” henceforth will have to be placed in quotation marks. It ought to be widely known that corporations and wealthy people are able to place strong influence on the media, especially in America. “Experts” are sought out and articles are written for profit. Money is spent to place articles on your newsfeed even as traditional newspapers close up shop. In this transitionary period, it is a sketchy time for ethics in journalism, and the casual reader ought to beware. The sorts of influence that money can place on the media are highlighted nicely in a recent documentary (“Big Boys Gone Bananas“) about Swedish filmmaker Fredrik Gertten’s attempts to expose the Dole corporation for its use of infertility inducing pesticides in Nicaragua. After losing a lawsuit to the workers, Dole started upon an aggressive campaign to hush all talk of the lawsuit. The documentarians became the subjects of the documentary when Dole came after them. Putting itself in unabashed opposition to free speech, the Dole corporation put pressure on the LA Film Festival not to show Gertten’s film, sent scary cease and desist orders drawn up by lawyers to Gertten and everyone else involved, hired PR firms to place slanderous articles, and initiated lawsuits which tied the filmaker up in court for over a year. If Gertten were an American filmmaker, we likely would have never heard of him or his cause, but he found an ally in the Swedish government, who backed him. This leads us back to our original question: Are the rich reframing the concept of the one percent? What is the real state of economic inequality in America? When the Occupy movement adopted the slogan “We are the 99 percent,” they did not stipulate “of taxpaying income earners.” The three articles mentioned above all hold the latter stipulation in common. The issue of whether we are talking about the distribution of wealth in general or of annual income equality could only be of interest to those who wanted to reframe the issue. If we want to know what the protesters meant, we have to ask ourselves who they considered their opponents to be, and I think it is safe to say that the Occupy movement is more opposed to billionaires than to some small business owner pulling down a healthy $320K per year. In other words, the Occupy movement was about the distribution of wealth and not about “income inequality”. Switching the emphasis from one to the other is actually a very crafty way of causing the widening distribution of wealth to seem less ominous. A person who owns part of a corporation may be worth hundreds of millions of dollars, but for tax reasons only gives hirself a salary of a few hundred thousand or a million. We all know that CEOs and other high ranking managers are known to take home many millions per year, but there are so few of them that the numbers become watered down when the rest of the population evens it out. Paradoxically, the more poor people there are, and the fewer the members of the super rich, the less it takes to enter the one percent when considering it from the view of income inequality. But, that shouldn’t distract from the lopsided distribution of wealth in this country. Articles that focus on annual tax income serve to detract from the status of the distribution of wealth in America, and the real figures are abysmal. The top one percent holds 40 percent of the wealth in America, while the bottom 80 percent only holds 7 percent of the wealth. In other words, the wealth of the top one percent could make every member of the bottom 80 percent about 5.7 times more wealthy than they are. This is the important statistic to remember if we want to talk about what the Occupy movement had in mind by “one percent”, because it takes into account, not only the rich, but the super rich. Recall now the handy state-by-state graph of “income earners” in America. Isn’t it odd that taxpayers in Connecticut should make so much more per year and also be so close to Wall Street? Further reading: Joshua Kennon’s article: How much money does it take to be in the top 1% of wealth and net worth in the United States? On December 4, 2014, Orion will launch atop a Delta IV Heavy rocket from Cape Canaveral Air Force Station’s Space Launch Complex Flight Test on the Orion Flight Test: a two-orbit, four-hour flight that will test many of the systems most critical to safety. The Orion Flight Test will evaluate launch and high speed re-entry systems such as avionics, attitude control, parachutes and the heat shield. In the future, Orion will launch on NASA’s new heavy-lift rocket, the Space Launch System. More powerful than any rocket ever built, SLS will be capable of sending humans to deep space destinations such as an asteroid and eventually Mars. Exploration Mission-1 will be the first mission to integrate Orion and the Space Launch System. 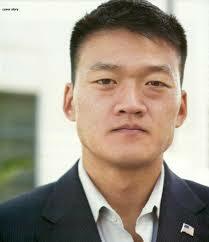 Scouring the internet for stories, I came across the story of Lt. Dan Choi, a Westpoint graduate and Iraq veteran with expertise in the Arabic. In the following video, Choi details how he became an unlikely activist against the “Don’t ask, Dont tell” policy of the military. Choi comes across as a mixture of simpleton and genius. He describes how at 27 he had his first experience of “love” and his desire to tell everyone he knew, but how the “Don’t ask, Don’t tell” policy required him to change the name of his lover from masculine to feminine. Eventually, things came to a head, and he had no choice but to tell the truth to friends and loved ones. With this simple act, he was now an activist and dissenter, a role which he embraces as naturally and unthinkingly as he embraced the love that he found. To us common folk, the story is one of courage. We are all familiar with the Sweet Sixteen, the Elite Eight, the Final Four, but there’s no nickname for the round of 32 in the NCAA tournament. Considering what these players and teams have accomplished, there really should be. The perplexity is made worse considering that the round of 32 is technically the third round, with the first round consisting of the two play-in games. 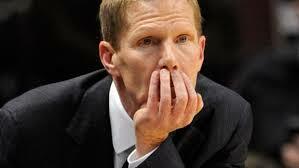 Because of that, there is ambiguity when speaking about the tournament. When you talk about the second round, are you talking about the round of 32 or the round of 64? I was discussing this conundrum years ago with a friend who I will call Brian (because that’s his name), and he came up with it: the Thirsty Thirty-Two.